Can the Celtics Win Again? The Celtics have been my favorite sports team since I can remember. Yes, the B’s, Pat’s, and Sox are obviously right up there, too. But I have always seen the Green and White above all. 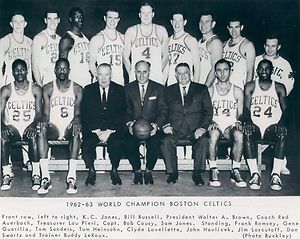 I love their history, from Red Auerbach and Bill Russell, to the original big 3 (Bird, Parish, Mchale), to the new big 3 and everything in between. That being said, I do not remember the last time that I was this excited for the Celtics season to start. With the Pat’s barely sneaking by, the NHL in a lockout, and the Sox not playing last season (I’m pretending that’s what happened), I cannot wait. 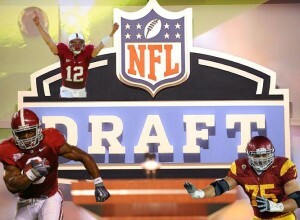 There have been a record number of underclassmen w ho have declared for the NFL Draft this year. 65 to be exact. This is well over the record of 56 that declared for last years. One of the main reasons seems like it has to do with the new labor agreement (remember that lockout thing?). Well rookie contracts are now almost half of what they had been in previous years. This encourages these players to get into the league early, get through their rookie contracts sooner, and move on to the larger stipends that come along with their second contracts. This basically gets rid of any incentive to remain in college to better their draft status for the following years. Hopefully they can figure this out so it does not turn into a nightmare like college basketball.